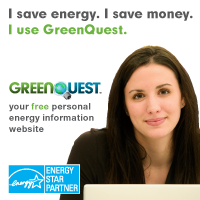 Ten outlets work together, autoswitching your devices on/off automatically, to save you money on your electric bills. 2225 joules of surge protection keep your equipment safe from even the harshest power spikes. Conveniently-spaced outlets and a 45-degree, angled space saver plug make the Smart Strip a friendly addition to your electronic systems. Use with all computers, home entertainment centers, and more. Plug your computer (or other device) into the blue "Control" outlet and your peripherals into the white "Automatically Switched" outlets. When you turn the PC (or other device) on, the Smart Strip turns on the "Automatically Switched" outlets and when you turn the PC off, the Smart Strip completely cuts power to the "Automatically Switched" outlets.